SKU: BIGRED. 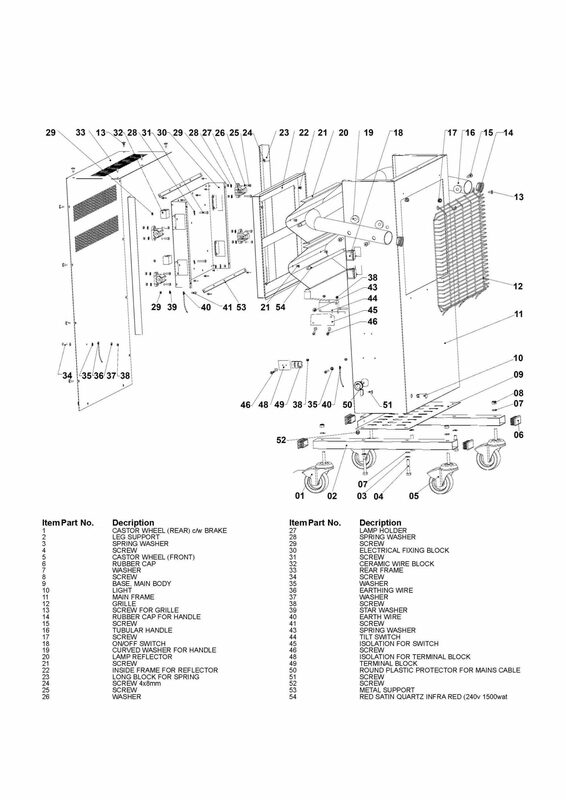 Category: Electric Air & Water Heaters. Tag: Zibro Heaters. 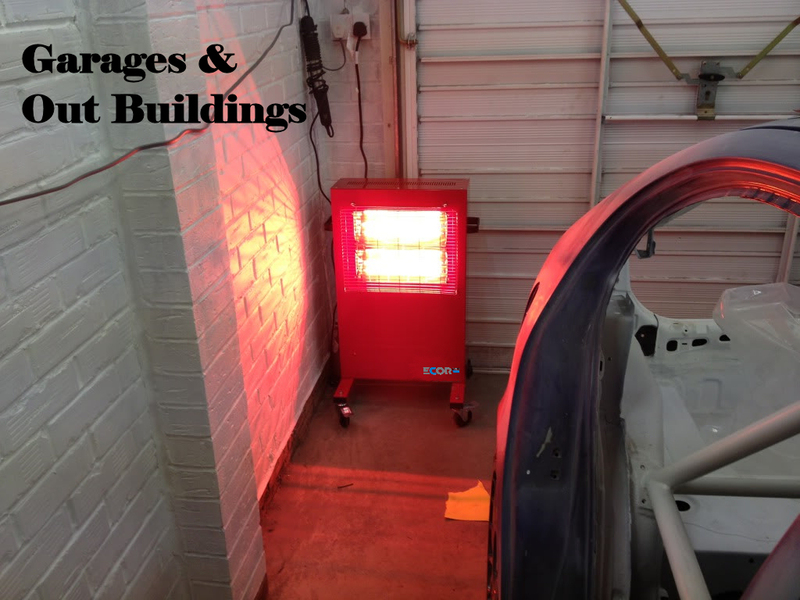 The Big Red Heater has a powder coated metal cabinet with two quartz infra-red gold halide lamp elements. Unique technology that makes it safer for users eyes preventing cataracts. 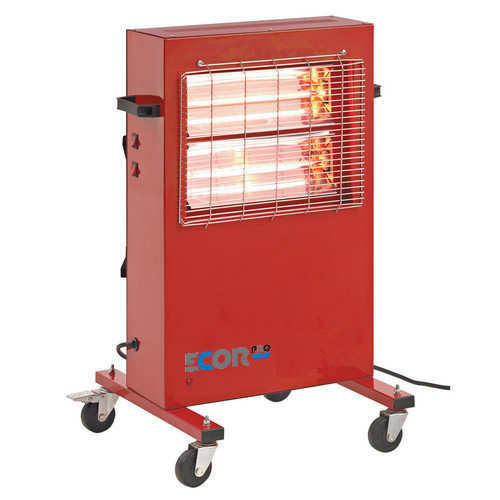 Mounted on a lightweight tubular frame, this highly effective 230V halogen infra-red is ideal for heating both indoor and outdoor maintenance areas. The element is designed to offer maximum efficiency, meaning up-to 95% of input power is converted into heat output. Chemically polished reflectors for maximum heat emission. Controllable power output by rocker switches between 1.5kW & 3kW on the side of the cabinet. Features easy-rolling swivel castors with two locking castors fitted to the rear. 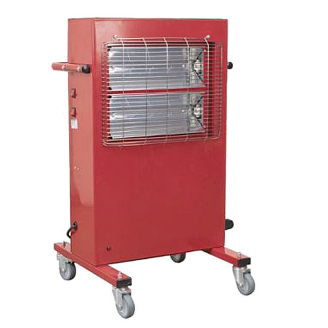 Suitable for a wide range of personnel warming and restorative uses. User Guide Available GB Click here! Exploded View Click here! Ecor Pro designs & builds dehumidifiers. We have over 40 years experience in the market with our main market being specifically designed dehumidifiers to our customer's request. Offices are in UK, Holland & China. In 2012 we began a partnership with Toyotomi, the Japanese manufacturer best known for Zibro heaters & who own the Zibro brand. We distribute their products in Europe & share technology. Our kebab grills division Naomi Grills makes professional catering equipment for restaurants & take-away establishments including salamander grills. Production is in Turkey to our design & specification.